Dr. Jason Lang is committed to helping families in the community experience improved health and vitality. He speaks regularly to local schools, businesses, and organizations on health, wellness, stress and safety topics. His mission is to empower as many people as possible to experience their optimal health potential through genuine quality care and education. Dr. Lang grew up in Waupaca, Wisconsin and received his Bachelor degree from the University of Wisconsin-Stevens Point and his Doctor of Chiropractic degree from Northwestern College of Chiropractic in Bloomington, Minnesota. Dr. Lang went on to earn his certification in Strength and Conditioning; specializing in pediatric, sports and family care. Dr. Lang has been practicing in Appleton, Wisconsin since 2002. Dr. Lang lives in the Fox Valley with his wife and three children. He chose Appleton to open his clinic and raise his family because of the friendly people and hometown atmosphere of the area. 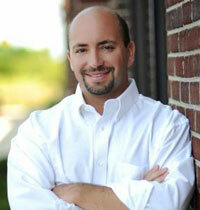 He has been very active in the community since his arrival and continues to offer excellence in chiropractic care. Dr. Jeremy Ruesch grew up in Wisconsin Rapids, Wisconsin. 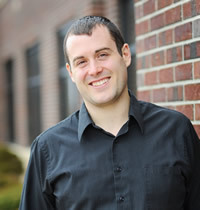 After graduating from the University of Wisconsin-Eau Claire with a Bachelor of Science in Biology, he attended Palmer College of Chiropractic in Davenport, Iowa. While at Palmer, Dr. Ruesch traveled on a mission trip to Manaus, Brazil to offer chiropractic care to underprivileged families that did not have access to any type of health care. Dr. Ruesch discovered the amazing power of chiropractic from his own personal experience. As a child, he suffered from severe asthma attacks. After going through every treatment possible at that time, he thought he would have to rely on his inhaler for the rest of his life. A high school sports injury brought him to the chiropractor. After going through the recommended treatment, he found that he didn't have to use his inhaler as much anymore. No longer at the mercy of an inhaler, Dr. Ruesch attributes his healthier lifestyle to chiropractic and has made it his mission to help influence the lives of as many other families as possible in the same way. Dr. Mike Croninger grew up in Oshkosh, WI. 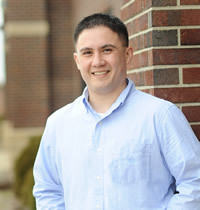 After graduating from the University of Wisconsin-Oshkosh with a Bachelor of Science in Biology, he attended Palmer College of Chiropractic in Davenport, Iowa. While attending Palmer, Dr. Croninger traveled on a mission trip to Hyderabad, India, to offer chiropractic care to underprivileged families that did not have access to any type of health care. Dr. Croninger began chiropractic care after a low back injury during a sporting event. His experience not only helped with the low back pain, but also caused the headaches he experienced almost daily to subside. Dr. Croninger also noticed that his tinnitus (ringing in the ears) diminished while under chiropractic care.